After visiting Berea for the first time since being acquired by the Cleveland Browns, Odell Beckham Jr. has is enjoying a tropical getaway. 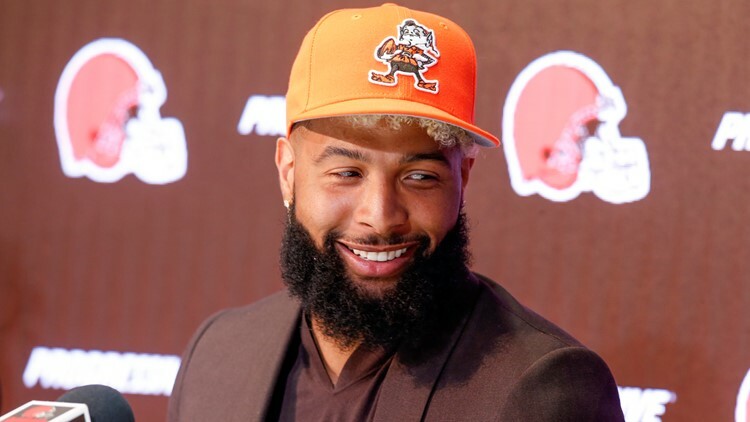 On Monday, the Cleveland Browns introduced their newest star player, Odell Beckham Jr., with a press conference at the team's headquarters. Apparently, the 3-time Pro Bowl selection didn't stick around long. Unless the forecast in Berea has changed, Beckham appears to have set off on a tropical vacation, taking to Instagram to post multiple pictures in front of much sunnier scenery than what Northeast Ohio currently has to offer. Based on the location tags in his posts, Beckham appears to be at a resort in Malé, Maldives, a densely populated island located in the Indian Ocean. “The game was off balance, I’m back on my shxt”.... had to recenter myself," the 26-year-old captioned one post. While it's not uncommon for athletes to take offseason vacations in order to clear their minds, Beckham currently has more to ponder than most. As he admitted on Monday, the blockbuster trade between the New York Giants and Browns last month came as a surprise and took some time for the 2014 NFL Offensive Rookie of the Year to process. "It is hard to explain. I can’t even put it into words," Beckham said of his reaction to the deal. "It just was a lot. I do not even know how else to describe it. It was just a lot, a lot of emotions and a lot of thoughts that run through your mind. Your whole life is changing. It is still the same in theory, but it is changing." As for the R&R he's currently enjoying, Beckham could do worse. According to Page Six, the former LSU Tiger is staying at an exclusive Beach Villa, which features a private pool and runs $2,000 per night. Onlookers have caught Beckham and friends swimming with sharks at the Shark Reef, relaxing at the One&Only Spa, dining on Japanese cuisine at the resort’s restaurant, Tapasake and aboard a private yacht. Last year, Beckham signed a five-year, $95 million contract with the Giants, $65 million of which is guaranteed. 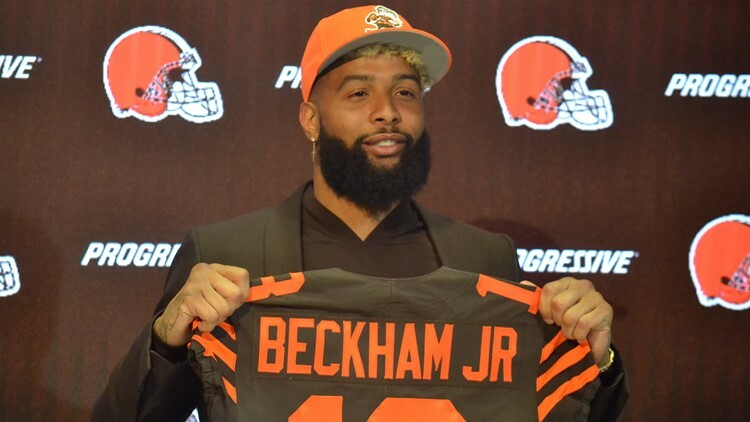 Although there were initial reports that he wanted to restructure his deal following his trade to the Browns, Beckham downplayed any negotiations when asked about them at Monday's press conference. "I don’t know about the contract," he said. "Honestly, it is not on my mind right now. I am here. I am present today. Just take it one day at a time. Whatever the plans are, those are the plans."